Yerba Mate Reviews – Is it the Best Tea? You are here: Home / Blog / Yerba Mate Reviews – Is it the Best Tea? Should You Drink Yerba Mate Tea? If you’re going to drink tea regularly, green tea is often viewed as the healthiest option. Yet, not everybody agrees. One particularly popular alternative is yerba mate tea and many yerba mate reviews suggest that this is better than other teas and even coffee. Now, coffee does have a range of health benefits that are often overlooked but many people do prefer tea regardless. In fact, tea can be a better choice for some people and it does also contain a wide range of plant-based nutrients. Which brings me to the question, what about yerba mate? Is this tea really as great as the yerba mate reviews suggest? Or, is it just a hyped-up product that lacks benefits to health? Before we talk about the yerba mate reviews, I want to highlight some of the health benefits associated with this tea. Yerba mate is interesting because it contains more active chemicals than even green tea, along with higher levels of antioxidants and polyphenols (1,2). ​In particular, yerba mate offers multiple different types of nutrients. These include xanthines, saponins, caffeoyl derivatives and polyphenols (3). ​Yerba mate also contains most of the essential amino acids that ​we need, along with many different vitamins and minerals (4,5). However, the absolute quantities of these components tend to be relatively low. ​​These classes are all associated with some health benefits, including the areas discussed below. As a result, the tea has significant potential to promote good health. So then, let’s take a look at the specific benefits that can be attributed to yerba mate tea. Yerba mate does contain caffeine, so you do get some of the alertness benefits that typically come with caffeine (6). Specifically, yerba mate tends to have more caffeine than most types of tea, although the caffeine content is typically less than coffee (7). Caffeine itself is a powerful stimulant and has been associated with improved recall, alertness and reaction time in humans (8). ​This partly happens because caffeine affects the levels of some signaling molecules in the brain (9,10). ​At the same time, caffeine does tend to give people energy and can also significantly improve mood (11). ​Indeed, the connection between caffeine, energy and mental focus is a key reason that many people have a coffee habit to begin with. ​While yerba mate may not offer as much caffeine as coffee, it would still have significant impacts in this area. Coffee is often associated with weight loss and viewed as a way to decrease hunger and boost the metabolism. ​However, many of those weight loss benefits come from the caffeine, rather than the coffee itself. ​The act of simply drinking a hot beverage may also play some role in weight loss. ​Research into yerba mate ​has ​shown that the tea can directly influence weight loss. ​In particular, it seems to be able to decrease the fat held by fat cells, while also lowering the number of those cells (12). ​Likewise, research suggests that yerba mate may boost metabolism, reduce appetite (13) and increase fat burning (14,15). ​One experimental study also found that yerba mate supplementation resulted in significant weight loss compared to the control group (16). ​These patterns suggest that yerba mate can contribute to weight loss, perhaps more so than coffee does. Still, the results should be taken with caution as there are few experimental studies on the topic. One critical aspect of health is the levels of various compounds in our blood. In many cases, these levels can impact disease risk. Yerba mate is one product that can help in this area. ​In particular, some evidence suggests that yerba mate may help to lower blood sugar levels and improve insulin signaling (17), although much more research is needed. ​There is also some indication that yerba mate can help to improve cholesterol profiles and reduce heart disease risk (18). ​Nevertheless, this outcome is associated with yerba mate extract and it isn’t clear whether the same effect also exists for the tea (19,20). Inflammation is a natural ​process but it has also been associated with disease development. ​This happens because the body’s inflammation response is often more pronounced than it needs to be or lasts too long (21,22,23). ​There are many natural ways to fight inflammation, including foods that are high in antioxidants and plant-based chemicals. ​Tart cherries are one key example of this and this is one reason why tart cherry juice is so popular. ​Yerba mate tea is also high in antioxidants and in some other nutrients that can help promote health and strengthen the immune system (24,25). Likewise, the tea also contains a specific type of compound called saponins. These compounds have some anti-inflammatory properties (26,27). The end result is that yerba mate may be particularly relevant for reducing inflammation and even strengthening the immune system. ​Nevertheless, it’s important to note that this area hasn’t been directly studied. ​As such, it isn’t clear how significant the effect truly is. ​Still, the best way to fight inflammation and improve your immune system is to rely on healthy food and ingredients. Yerba mate is one such addition to your diet. Like with coffee and green tea, there is a large range of different individual yerba mate products. Often the quality and even taste will also vary from one brand to the next. Nevertheless, yerba mate reviews do tend to be mostly good, regardless of the brand. For example, the image below shows the review distribution for one option on the site iHerb. Likewise, individual reviews tend to be positive, with many people finding that the tea offers energy and has fewer side effects than coffee. Surprisingly, most yerba mate reviews don't ​mention the taste. But, many of those that did noted that the tea is appealing. But, as you can probably imagine, not everybody agrees about the flavor. Despite all the positive yerba mate reviews, it is worth noting that the tea may not be for everyone. After all, people tend to have individual preferences. Additionally, the online reviews are somewhat biased. In particular, most people who buy yerba mate tea online probably already like this type of tea. This means that the positive reviews aren’t coming from people who are just trying yerba mate for the first time. People in this situation are already convinced about the benefits of the tea and know that they like it. In contrast, there are fewer reviews from first-time buyers. This means that your early views on the tea may be different than what long-term drinkers experience. Overall, the tea might not be a good fit for everybody. That's true for most hot drinks though - the trick is to find what works for you. Still, with the health benefits and the caffeine content, yerba mate is worth trying. There are certainly benefits to yerba mate tea, especially because of its antioxidant and polyphenol levels. Nevertheless, there are some potential side effects to be aware of. For one thing, the tea does contain caffeine, although you won’t be getting as much as in a regular cup of coffee (28,29). ​Specifically, yerba mate tea contains roughly 85 mg of caffeine per cup, which is more than some other types of tea (30). ​For example, black tea has an average of 42 mg of caffeine (31), while green tea has an average of 25 mg (32). ​Some estimates claim that the caffeine in yerba mate tea is much lower. ​One estimate suggests that yerba mate has less than 80 mg of caffeine per cup (35). ​​Another ​says that yerba mate from teabags may be as low as 30 to 40 mg (36). ​​The differences in estimates are partly based on how much yerba mate you actually use to begin with. The caffeine in coffee can vary dramatically based on a range of factors, including brand and how it is brewed. But, for example, instant coffee averages around 57 mg of caffeine (33), while a cup of brewed coffee may be as high as 163 mg (34). Of course, there is considerable variation in these numbers and they only represent rough averages. If you're curious, the site Caffeine Informer offers details about the caffeine levels of many different drinks. ​Regardless of the precise caffeine level, it’s clear that yerba mate does contain caffeine. ​In many cases the caffeine content is higher than other types of tea​ and ​may be lower than coffee. ​As a result, people hypersensitive to caffeine may end up with some of the common symptoms of too much caffeine, such as jitters, anxiety and headaches (37,38). ​Likewise, pregnant women need to be careful about caffeine consumption (39), as do people on some medications or with some health conditions. ​​​You probably already have some idea about your limits when it comes to caffeine. Certainly, the tea does have less caffeine than coffee but that caffeine can still add up. However, those side effects won’t be significant for most people, especially if you normally have coffee anyway. Even though the reported side effects are minimal, yerba mate is an herbal product. As such, you should talk to your physician before drinking it on a regular basis. Doing so is more important than most people realize, as some herbal products can interfere with some medications or affect some health conditions (40). ​This problem and lead to adverse effects and, in some cases, dangerous outcomes (41). ​For example, yerba mate can interact with some medications for Parkinson’s disease and depression, along with any other drugs with monoamine oxidase inhibitor activity (42). ​​Yerba mate tea is a little unusual in its association with cancer. On the one hand, some of the compounds in the tea may help to protect against cancer (43,44). ​One study found that specific derivatives in the tea were able to induce cell death (apoptosis) in human colon cancer cells. ​At the same time, the derivatives were associated with a reduction in inflammation markers, which are also associated with cancer progression (45). ​Because of this pattern, yerba mate is sometimes promoted as a way to protect against cancer. ​Nevertheless, some research has shown that drinking ‘a lot’ of the tea over an extended period of time can increase the risk of throat and digestive cancers (46,47,48,49). ​Unfortunately, most of the studies don’t specify exactly what too much tea is but it seems likely that 1 or 2 cups per day is safe. ​There is some debate about specifically why this effect exists. The increased cancer risk could simply be the result of the hot temperature of the tea or it could be connected to specific compounds within it. ​One study found that the association was stronger for people who consume the yerba mate at a higher temperature (51). ​This means that you can reduce most of your risk by simply drinking the tea once it has cooled down a little. Additionally, research into yerba mate tea and cancer has a long way to go. ​For the most part, the tea is considered safe to drink but you probably don’t want to be drinking 4 or 5 cups of it each day. ​The risk of cancer also seems to be higher if you smoke as well, which is something to consider (52). ​​​At the end of the day, the tea seems to be safe in moderation but not in excess. It may also be worth making sure you don’t have it too hot. Yerba tea is an appealing drink because of its taste and the potential health benefits. Likewise, the amount of caffeine can make it a good choice, especially for people who don’t like coffee. If you do want to drink the tea regularly, there are a few other areas worth considering. The traditional preparation of yerba mate involves brewing it in a container called a calabash or a gourd. The tea itself tends to be consumed through a metal straw with a filter on one end. ​If you are drinking the tea in this way, then the container is filled roughly one-third of the way with the leaves and hot water is then added. ​The site Serious Eats offers some additional details about brewing and drinking the tea. ​Some people recommend bringing your milk or water to a simmer when making the tea, rather than boiling it. Doing so reduces any bitterness and makes for a nicer drink overall. ​If you’re using loose tea, then you would typically add one teaspoon per cup of liquid and leave it to seep for 3 to 5 minutes. Of course, you can vary the amount depending on your own preferences. Alternatively, the tea can also be prepared with a French press, a teapot or a coffee maker. There are also yerba mate tea bags available on the market, although these tend to result in a lower amount of caffeine (53). Likewise, the tea bags could also mean you get a lower concentration of other healthy components. The tea can be consumed on its own, or it may be served with milk, lemon juice or burnt sugar, depending on your preference. Because of the potential relationship between yerba mate and cancer, it’s normally best not to drink the tea piping hot but to let it cool down a little first. As with tea in general, there is no shortage of places to buy yerba mate tea. ​This includes grocery stores, markets and online retailers. ​Indeed, some of the companies that produce yerba mate tea will sell it on their own website. ​Likewise, you can find many different brands on Amazon. ​There are also multiple forms of the tea, including tea bags and loose-leaf tea, as well as some pre-prepared beverages. Regardless of where you buy the tea from, it’s normally best to choose yerba mate tea that hasn’t been heavily smoked. Instead, you want a brand that uses flash heating, as this preserves most of the nutritional properties. On a side note, you can also buy the traditional gourd and straw online, along with many variations, if you wanted to. There are many similarities between green tea and yerba mate, especially as both are typically viewed as being healthy. As discussed previously, yerba mate does contain a greater concentration of active ingredients, which potentially means more health benefits. Yerba mate is also higher in caffeine than green tea. As a result, it can be a good choice if you want some of the health benefits from caffeine or if you want a morning wake up call that isn’t as strong as coffee. Nevertheless, the higher caffeine content in yerba mate may mean that it isn’t suitable for everybody. Instead, caffeine sensitivity could make green tea a better for some. Even with the debate surrounding yerba mate and cancer, the tea is still a healthy addition to the diet in moderation. In particular, the tea is an amazing source of antioxidants and polyphenols, while also offering benefits from caffeine. For many people, yerba mate is also a perfect intermediate between coffee and tea because of the caffeine content. Health aside, the tea may be worth considering for taste alone. Certainly, many of the yerba mate reviews are positive and this alone suggests that the tea is worth trying out. Excellent article on one of my past fave drinks Yerba Mate. It is actually extremely popular in Uruguay and Argentina and brewed in a peculiar way with it own flask type pot which resembles somewhat a very oversized smoking pipe with the built in metal straw pipe what you sip the tea from, be it hot or cold! Thanks for the health info – never knew it was such a healthy drink!. It’s nice to hear from somebody who enjoys the tea. I’ve been interested in it because of the health benefits but it is always better when healthy food and drink actually taste good too. Thanks, I’m glad you like the piece. Information is often a tricky thing because many of these topics are complex and have multiple angles to consider. For that matter, I’ve only scratched the surface in most cases. It sounds like you are included healthy ingredients in your diet, which is great. However, if you’re experiencing symptoms like that, it is important to talk to your doctor. Also, bear in mind that there can be interactions between various supplements and it is also possible to overdose on some nutrients, especially if you are getting them in multiple supplements. 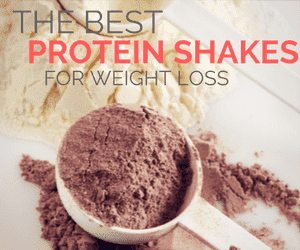 For example, many fruit and vegetable or protein shake powders contain nutrients as well and those can double up with what you get via a vitamin supplement.